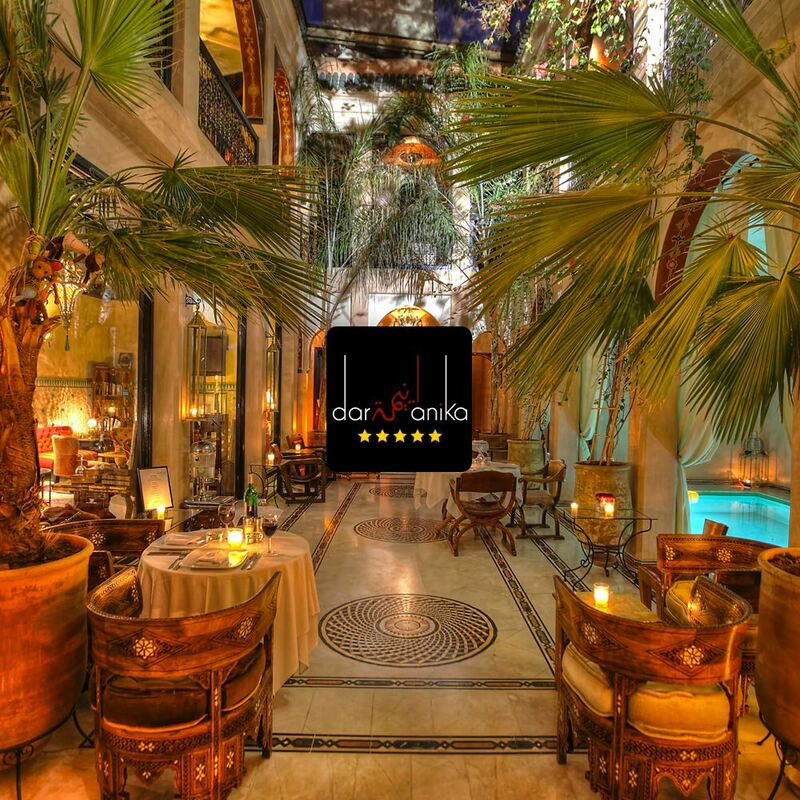 A luxurious and intimate boutique riad situated at the entrance to the old souk in Marrakech and close to Djemma el Fna. With 12 rooms, individually styled with flair and imagination, a swimming pool and hammam, Riad dar anika offers you a truly personal experience, a home away from home where guests can relax in an oasis of calm away from the hustle and bustle of the medina outside. 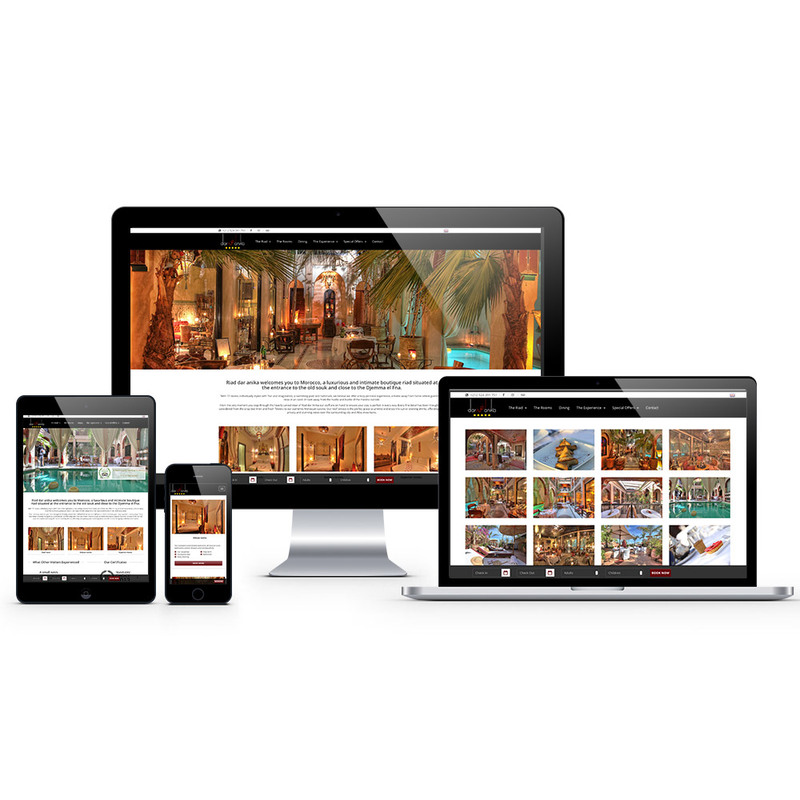 From the very moment you step through the heavily carved door of Riad Dar Anika the staff are on hand to ensure your stay is perfect in every way. Every fine detail has been thoughtfully considered from the crisp bed linen and fresh flowers to our authentic Moroccan cuisine. The roof terrace is the perfect place to unwind and enjoy the sun or evening drinks, affording total privacy and stunning views over the surrounding city and Atlas mountains.